When does my puppy learn? Ever wanted to know why your puppy is doing something? Or why he barked at people he has always spent time around? This picture shows you all the stages that your puppy goes through from a newborn all the way to adulthood! Have a look here for more information on all the stages. 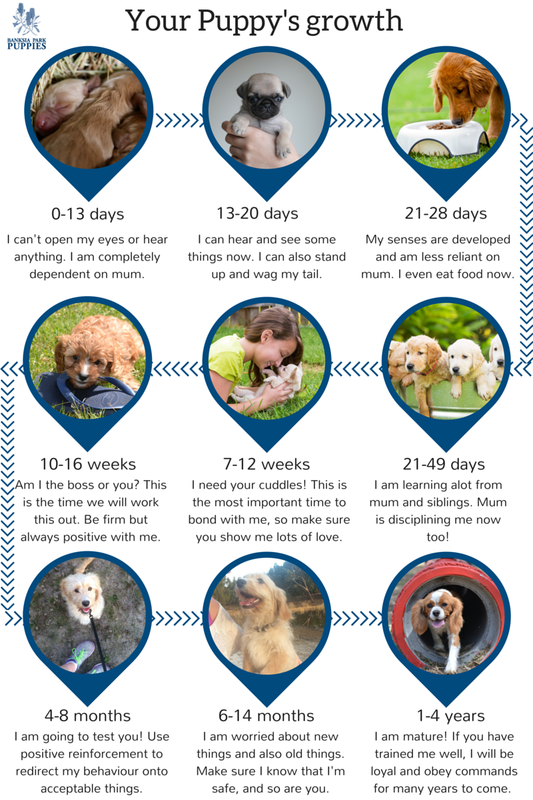 For more information on all these stages and what they learn, what to do to help them, and how we work with our Banksia Park Puppies dogs at every stage see here.